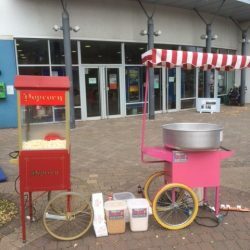 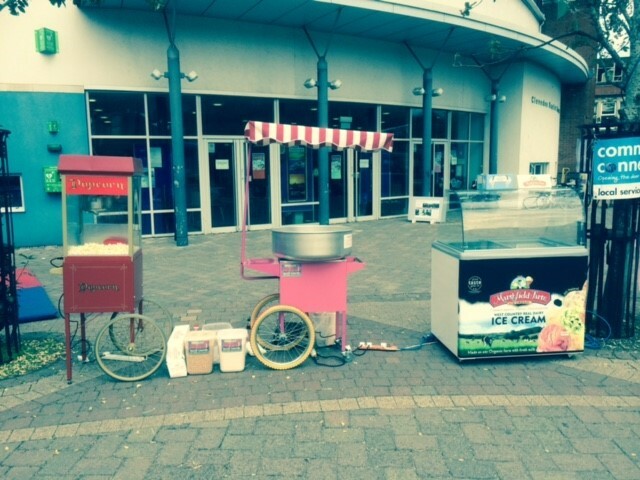 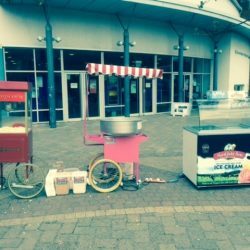 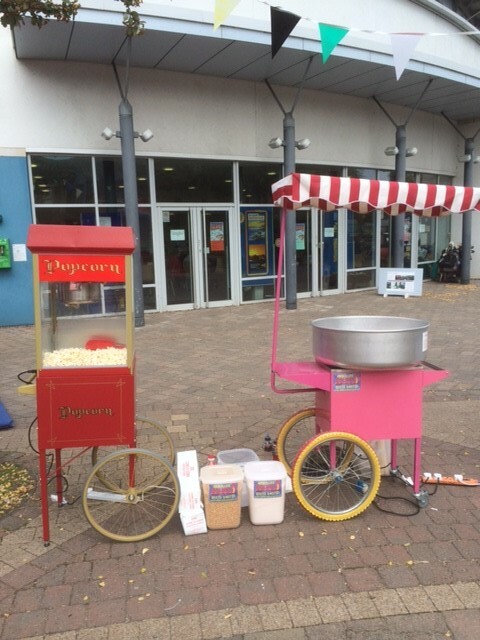 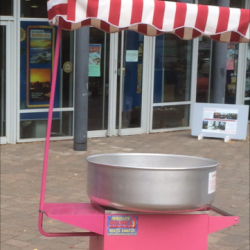 Our Candy floss Cart would make for a great feature at any event including,fun days, birthday parties, themed events, weddings, corporate events, private parties even Christenings, from Bristol to Weston-super-mare, no matter what size. 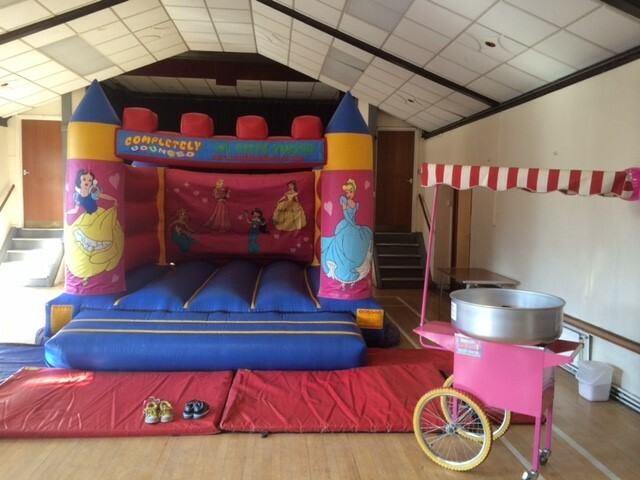 A choice of different flavours and colours can be supplied to fit in with your theme for most events. 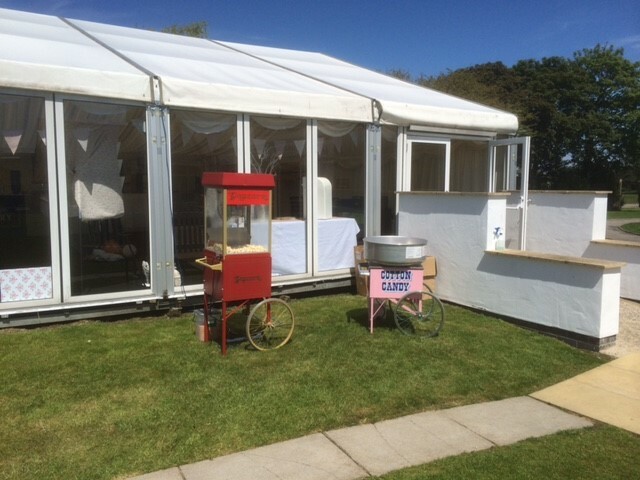 As always insurance & relevant certificates can be provided on request and also be forwarded to your venue. 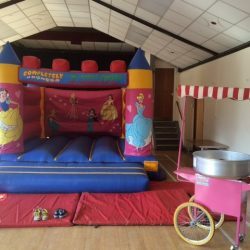 For full details please just send us a message via our contact us page with details of your event, date and how many people you would like to cater for. 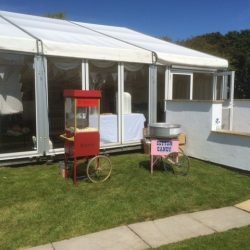 Please note that all our Candy floss is made fresh at your event/function, for you and your guests to enjoy and not pre packed or supplied, so that your guaranteed the lovely smell & freshest Candy floss available. 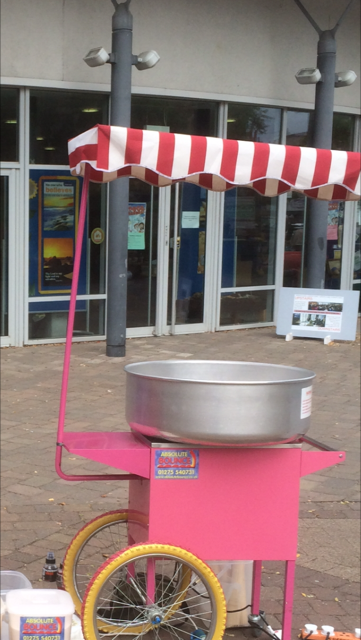 Our candy floss can be served on traditional wooden sticks or in plastic bags. 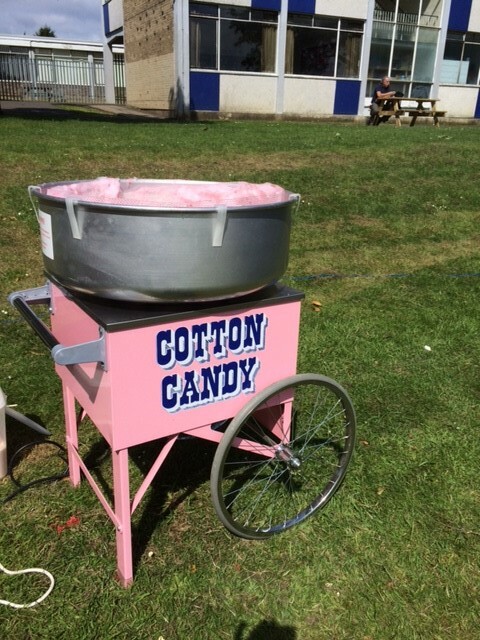 This cart can be hired on its own without an attendant for people wishing to operate it themselves. 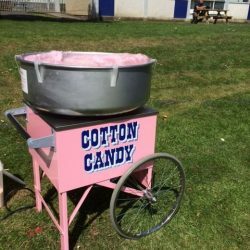 We strongly recommend for people wishing to operate this cart on their own that they checkout videos on YouTube of how to make candy floss.